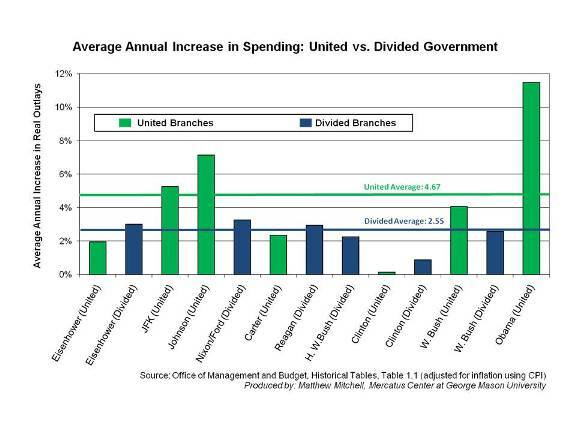 This chart by Mercatus Center Research Fellow Matthew Mitchell illustrates a divided government's impact on spending. The bars depict the average annual growth rate in inflation-adjusted federal spending under different combinations of political control. United governments—in which one party controls both Congress and the White House—tend to increase spending more than divided governments.